The existing Bognor Regis Community College, a specialist Sports College, dated from the 1930s and covered a split site and was a major hindrance to improving educational performance. The existing buildings would have needed substantial upgrading and extension to allow the school to effectively deliver the curriculum. We were appointed to deliver a 1800-place school under the former DfES’s Building Schools for the Future initiative. This new campus development involved the design of a new masterplan to integrate the replacement of the infant and junior schools as well. 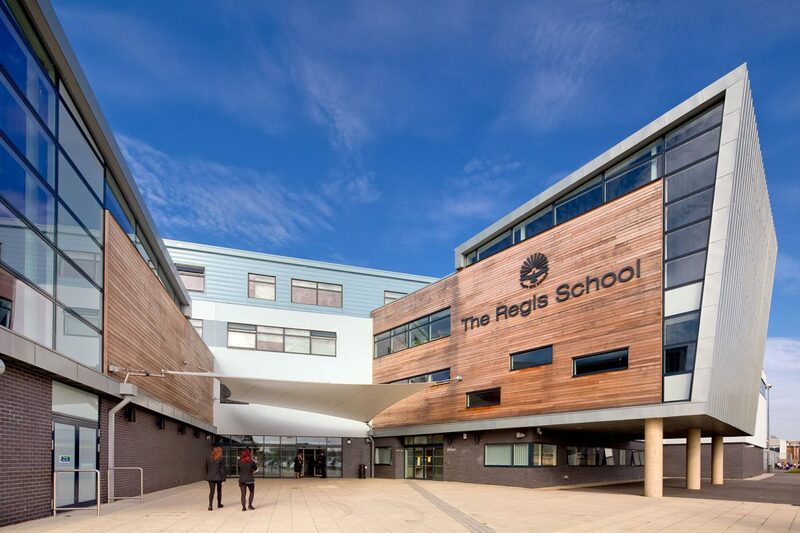 The new Regis School and its campus form an essential part of the Bognor Regis community. 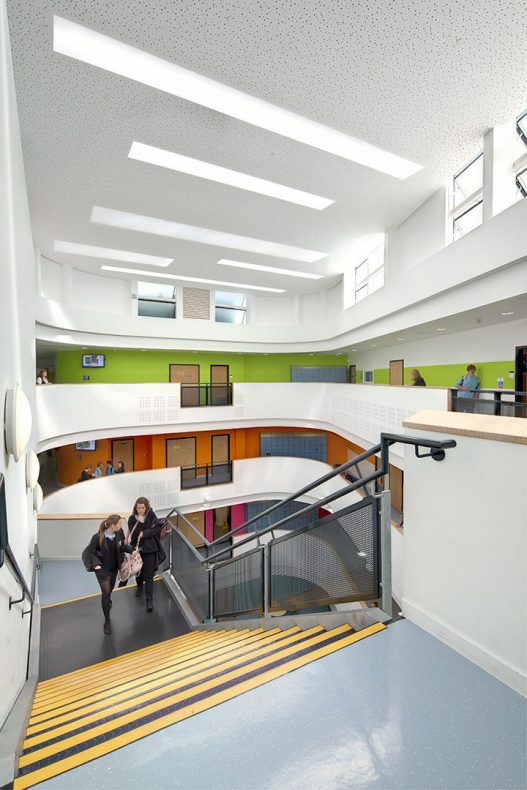 It expresses, in its form and design, an expectation of the highest levels of aspiration and achievement, facilitating the pursuit of these through spacious, flexible, high specification learning and teaching spaces which are coherently organised, accessible to all, innovative and exciting. Through our design, we sought not just to renew a range of classrooms but to create an environment that lifts the spirits as you enter it. At every corner, pupils feel valued and are encouraged to aspire to great things. 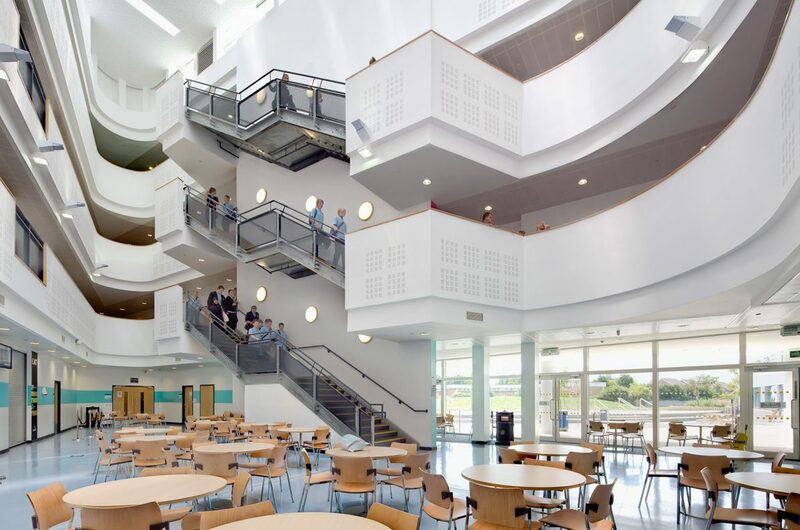 Two atriums act as focal points around which the school is arranged, with learning and dining areas sited at the base, minimising corridors and ensuring highly visible learning across the school. To ensure effective primary to secondary transition support, significant outreach work has been undertaken by the school, particularly in relation to sports. A ‘competency’ curriculum for years 7 and 8 has been created alongside an associated cluster of generic learning spaces to facilitate different options of designation and deployment across all subjects. 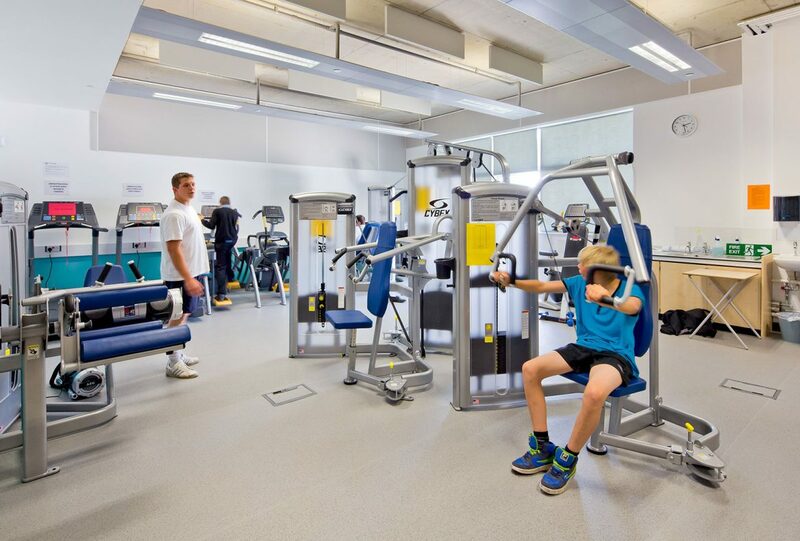 Specialist sports facilities have been developed, including a full height gymnasium to host top level trampolining competitions, an external multipurpose MUGA and ‘the most popular room in the whole school’; the MYO Fitness Suite. This excellent facility enables students to learn about their bodies (both theoretically and practically), and serves the schools reputation in providing exemplar sports education. Keen to develop a personalised learning curriculum, the school has created several distinctive areas, such as the product design barn; a collection of design technology, electronic and computer suites of a variety of sizes, grouped together to facilitate multi-age learning across the developing curriculum. The school also houses an art studio, consisting of four art rooms and a resource area in a large single open plan studio on the top floor. With views across the coast, this space allows a creative talent to be unleashed across a variety of ages. Teachers have been given reign to reassess how and what they teach, as well as the way in which they manage the art curriculum. 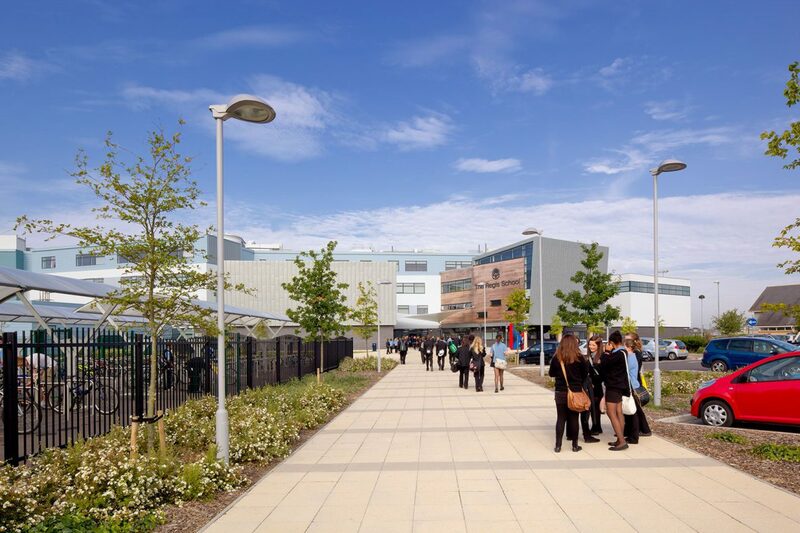 More details of the facilities the building provides are shown on the school’s website. 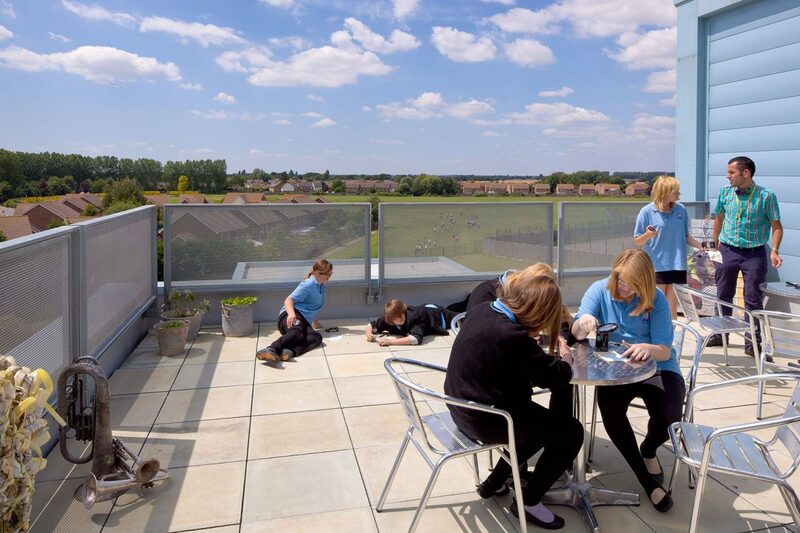 The advent of a stunning new secondary school has been hugely welcomed by our community. 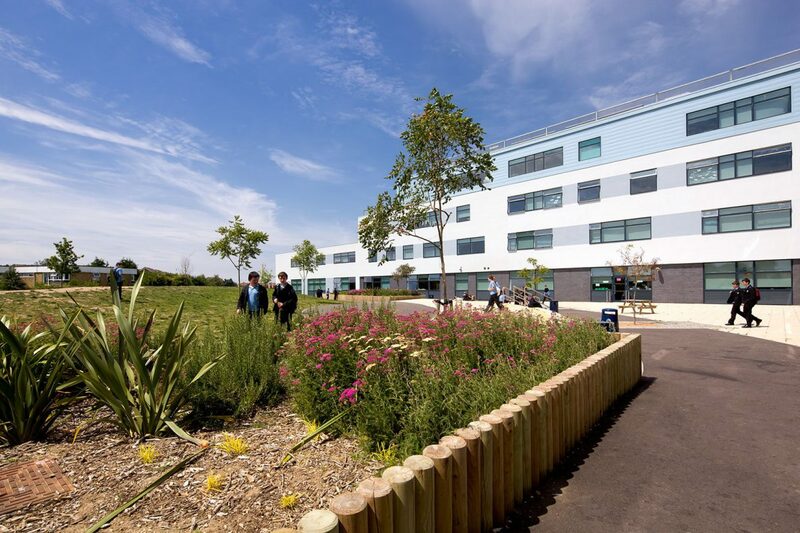 Students, parents, carers and community groups have taken every opportunity to view facilities which have taken The Regis School from a split-site setting reliant on buildings dating back to the 1930’s to a bright, dynamic, state-of-the-art learning environment. As well as enhancing student learning it has created opportunities for adults to utilise the facilities and fantastic new technologies. 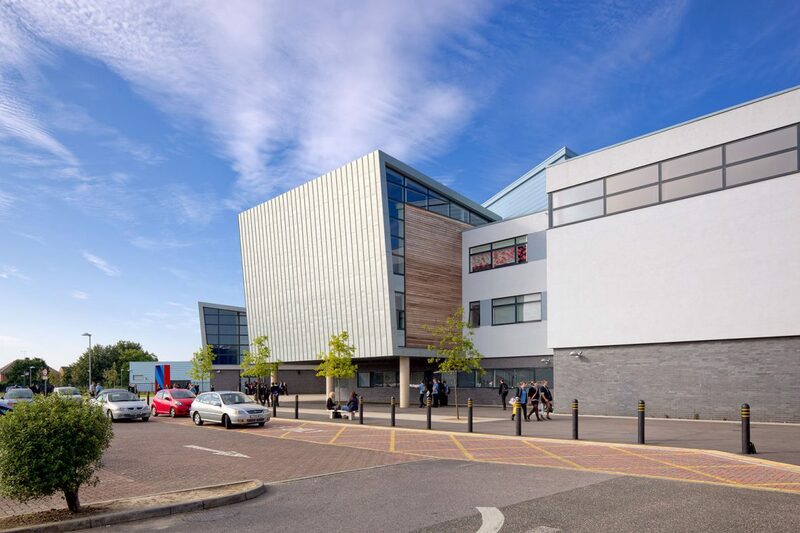 The new school is complemented by the Arena Sports Centre, the new Southway Primary School, the Arena Skills Centre, the Stepping Stones Day Nursery and our swimming pool. To this will be added a new Youth Centre in 2011. 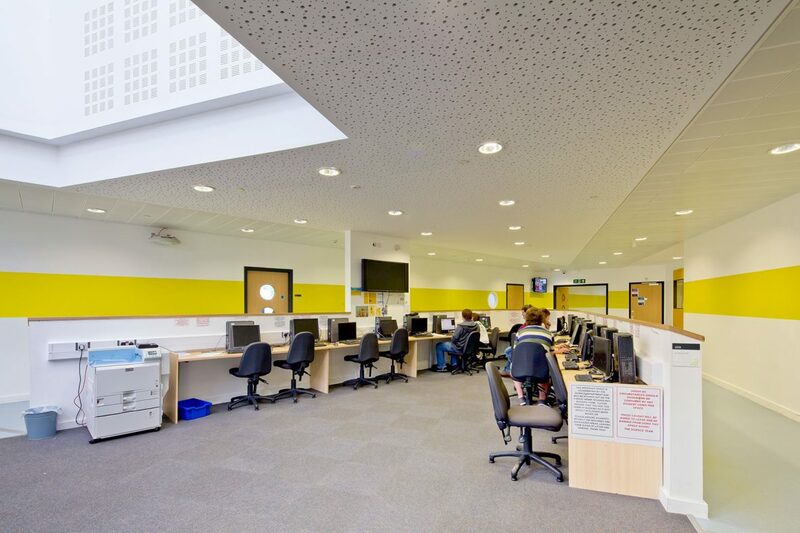 The campus is very much at the hub of the community with over 400 employees and 6,000 users using its facilities every week. The Regis School reflects the vision of an inspiring learning environment with a library at its heart and a design shaped by its stakeholders. 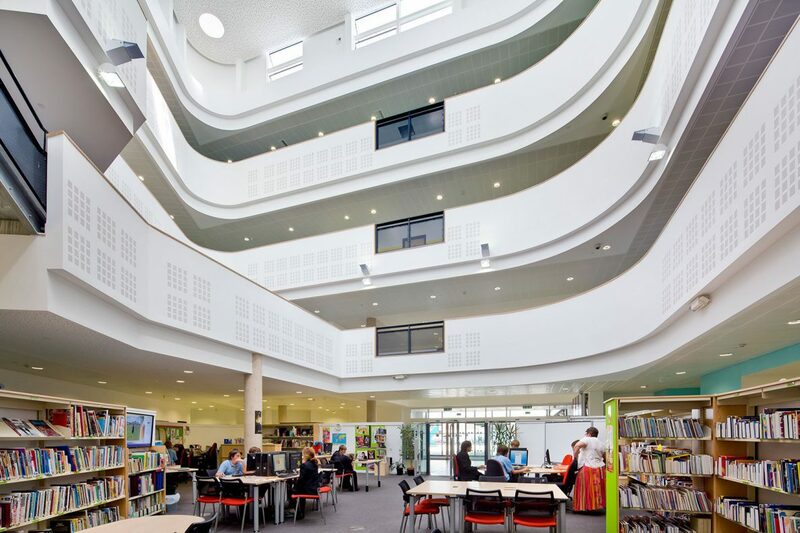 Spirits are lifted by its imposing structure, vibrant colours, flexible learning facilities, and community friendly facilities such as the lecture theatre, dance studio and reception spaces. It sends out a powerful message about the regeneration of Bognor Regis and its aspirations for the young people.